Although many putative laccase-like genes have been assigned to members of the phylum Actinobacteria, few of the related enzymes have been characterized so far. It is noteworthy, however, that this small number of enzymes has presented properties with industrial relevance. This observation, combined with the recognized biotechnological potential and the capability of this phylum to degrade recalcitrant soil polymers, has attracted attention for bioprospective approaches. 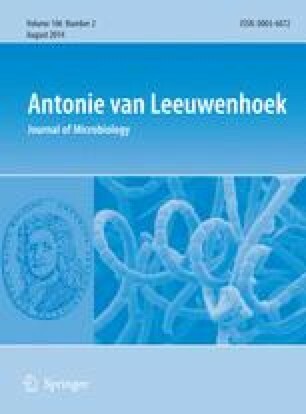 In the present work, we have designed and tested primers that were specific for detection of sub-groups of laccase-like genes within actinomycetes, which corresponded to the superfamilies I and K from the classification presented by the laccase and multicopper oxidase engineering database. The designed primers have amplified laccase-like gene fragments from actinomycete isolates that were undetectable by primers available from the literature. Furthermore, phylogenetic alignments suggest that some of these fragments may belong to new laccases-like proteins, and thus emphasize the benefits of designing subgroup-specific primers. The authors are grateful to FAPESP (Fundação de Amparo à Pesquisa do Estado de São Paulo) for providing financial support (grants no. 2011/50243-1 and 2011/14333-6).